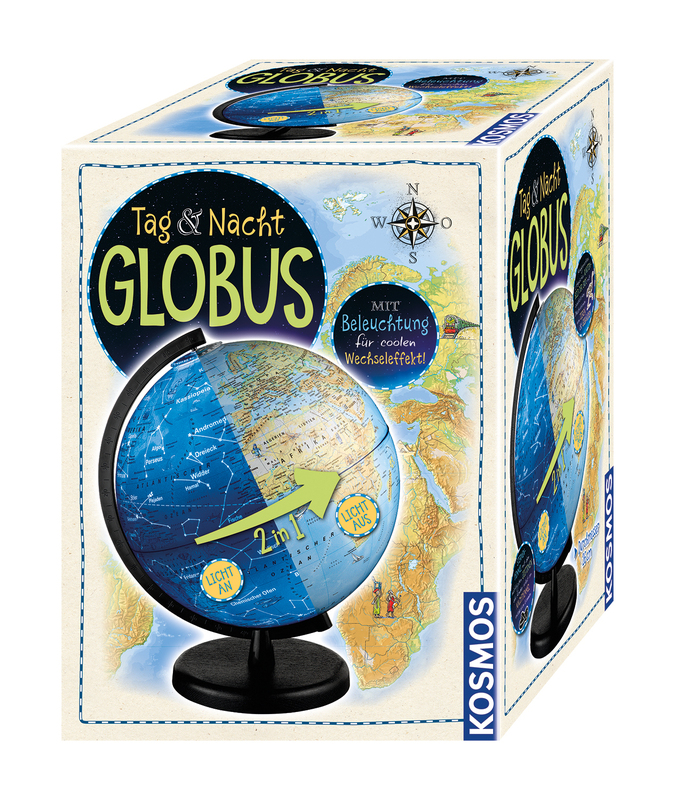 Product information "Tag und Nacht Globus"
Unlighted, the globe shows a detailed map of the earth that has been lovingly designed with illustrations. 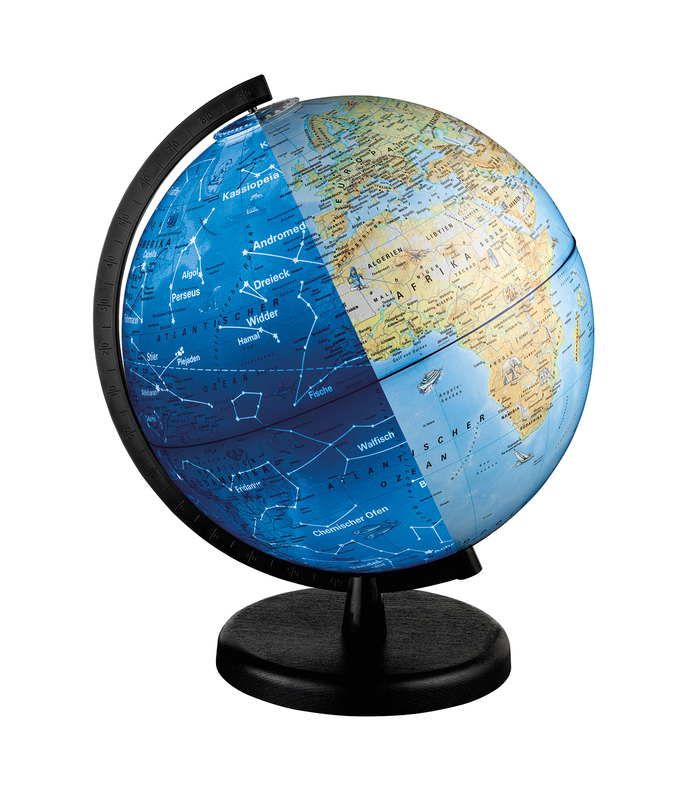 At a glance you can see country borders, mountain ranges and rivers. 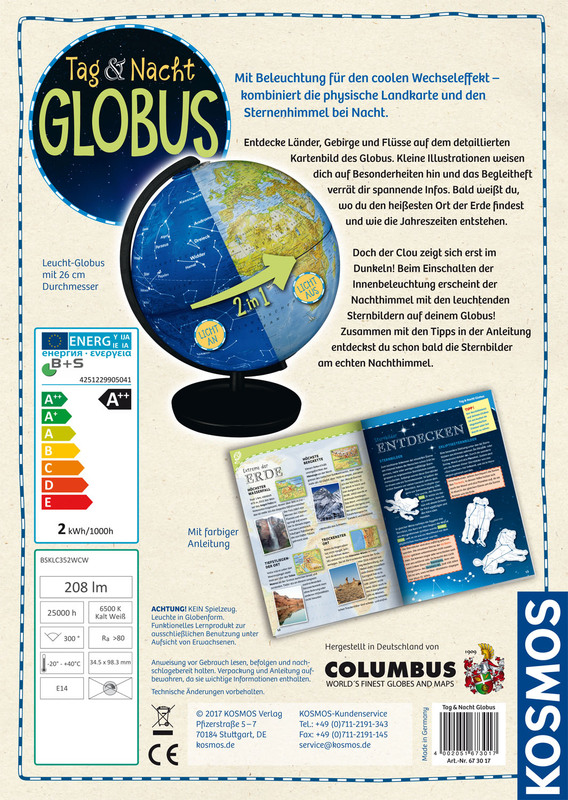 The accompanying booklet also includes fascinating information about the superlatives on earth, such as the highest mountains, longest rivers, coldest regions, and much more. But you see the highlight when you switch on the interior lighting. Then a map with the most important celestial bodies and constellations appears and thereby conveys an initial overview of the starry sky. 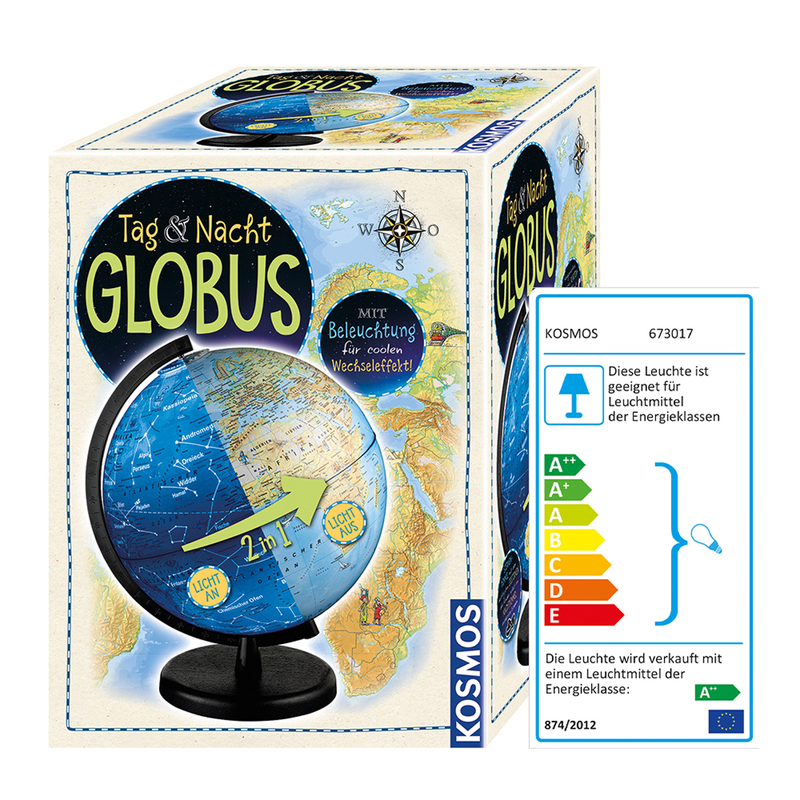 Children learn in the accompanying booklet the background of the constellations and receive tips on how to discover them in the night sky.